1/20 CST v2.5 Update is now complete! 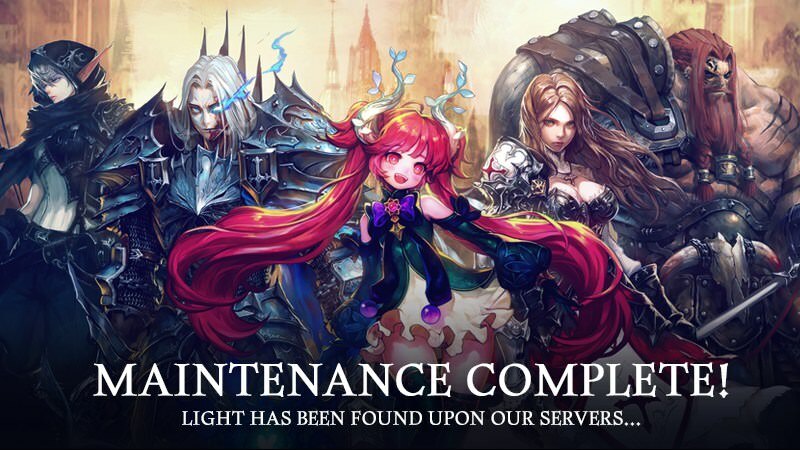 We will be undergoing maintenance to bring Heir of Light 2.5 Update! > Repear Reward Max Cap increased. > Feature to change Combo Skill Mark in the Battle Prep Added. > Skill Prioritization in Infinite PvP Changed. > Chat Improvement: Element Color Indicator Added. > Google Log in Feature for iOS Added. > Alert Message to Display Servant's Location in Invasion Added. > Servant NAT Grade Indicator in Servant Info Added. Last edited by CM_Heylel; 01-21-2019 at 07:52 PM.